It’s the se ason of love and growing things, and we have some fun tunes to share. 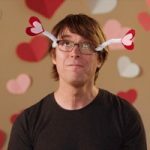 Listen to a FREE streaming playlist of “Songs for Valentines” by clicking HERE. … and our friends at Bump Club & Beyond, Cherry Blossoms blog, PlaytimePlaylist, SoCalCityKids and others recommend more ideas for family Valentines Day parties. 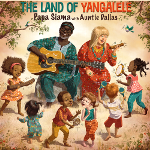 We hope you’ll click over and stream this playlist of 6 sweet and 2 somewhat sour songs by some of the top songwriters in family music, including three GRAMMY nominees and bilingual award-winning artists: Lisa Loeb, Ladysmith Black Mambazo, Aaron Nigel Smith, Brady Rymer, Cathy Fink and Marcy Marxer (with Sonia De Los Santos), Justin Roberts and Recess Monkey. Grammy winning songwriter and touring artist Shawn Colvin has legions of fans. Her stunning new recording The Starlighter was inspired by a Maurice Sendak-illustrated music book (Lullabies and Night Songs by Alec Wilder) that she treasured when she was a little girl. A couple of animated videos, created by WeFail, have already been released on Shawn’s YouTube channel, and she’s planning a busy weekend of media interviews in NYC, Boston, Philadelphia and Washington, DC during February 22 -27. 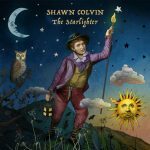 In a rare family concert, Shawn will perform a few songs from The Starlighter at the Boston Children’s Museum on Sunday, February 25. 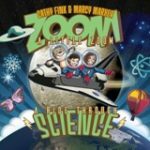 We present news about a science album from GRAMMY winning duo Cathy & Marcy, interactive sing-along songs from a Congolese-American artist named Siama, sweet and reflective original songs from Bay Area songwriter Sara Lovell, and exciting albums from Portland’s Red Yarn and Ants Ants Ants. Please click over to our latest newsletter to learn more.